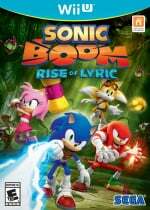 If Sega needed any evidence that its mascot can still generate buzz and hype, the online reaction to the reveal of Sonic Boom, with Wii U and 3DS games joined by the TV show and a range of toy merchandise, may have renewed the company's faith in the brand. Not all were immediate fans of the off-shoot's designs, admittedly, but Sonic was trending on various social networks as details emerged. 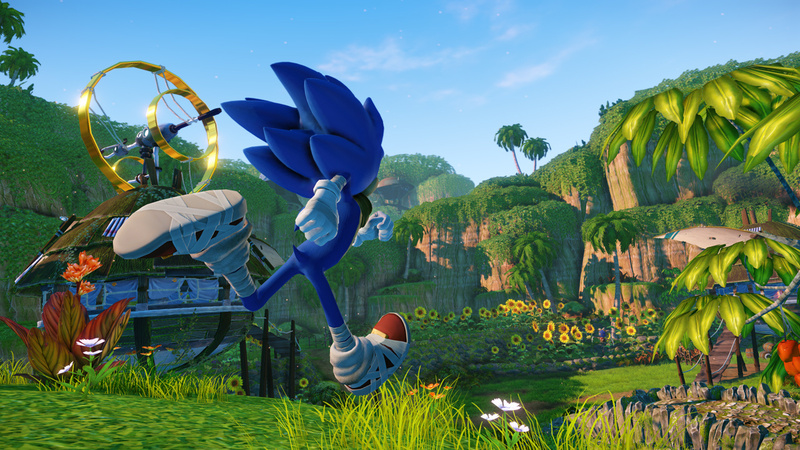 Yet it seems that we actually saw Sonic Boom — at least the Wii U version — in March 2013. Developer Big Red Button is utilising the powerful CryEngine 3 for development, and a GDC licensee showcase trailer from last year features some concept work from the studio. With reports that the game has been two years in the making doing the rounds, it actually looks like this showcase footage showed assets and areas still very much in the project. There are two particular scenes of a building and large doorway that have gold ring imagery, while the environment bears an uncanny resemblance to some of the footage from the Sonic Boom reveal trailer. Check out both examples below, and there's an almost identical building and surrounding area if you freeze at 22 seconds in the CryEngine 3 showcase and at around 20 seconds in the Sonic Boom reveal trailer. If only we'd known. A big thanks to Nicholas Brown for the tip. This is a interesting looking game. I hope it's good. The designs are ugly but the gameplay looks fun, I'll keep my eye on this one. I think this game looks awesome. SONIC needs a breath of fresh air. This looks like the natural evolution from the SONIC ADVENTURE series. I can only hope for a Big The Cat fishing game as an unlockable extra mode. this looks promising, i hope it turns out to be a hit! Hearing about a timetable for development gives me hope they this'll launch this year. Looking amazing so far. Give me Chao Garden and im yours! This game is just based on the new tv show. It's not the "new path" Sonic games will take. @CharlrSketch Correct me of I'm wrong but Sega stated that along Modern Sonic this well be a recurring Sonic style and theme. will it be only release on Nintendo ? @darthmawl Seems like it so far. I'm glad that they are only releasing it for Nintendo software. It helps those SEGA fans that ran to Microsoft or Sony after the discontinuation of SEGA's consoles a chance to rethink about who to play games on. They better give it all that they got before long-loved SEGA fans die out. @ChaosCrystal With Online capabilities. .. dare I dream?!? @darthmawl Nintendo 3DS and Wii U exclusives. I think they said It wouldn't have online in the "spills some info" article. Has 2 player Campaign and 4 player multiplayer modes though! @AJWolfTill ;;n;; Why can't I dream?! @Keiizeo An unprecedented partnership with EA? Reminds me of Playstation 2 platformers. @14 Crytek was going to do it, but EA became a drama queen and squash it. The Wii U could've have Battlefield, since it can run frostbite 3, but alas. @JimJam707 it is made by some of the people who made both the games and uncharted. So this may just be the sonic that maybe can get the people back in. My first thought: What have they done to you Knuckles!? @NightmareXIV My answer have him a better design. @JimJam707 These are people who also made Crash Bandicoot. I need to see more actual gameplay before I make up my mind, still not to keen on some of the character designs though. @NightmareXIV LOL. That was my first thought too. Knuckles looks really weird. @Shadowkiller97 Lol, "unprecedented partnership". Obviously stabbing Nintendo in the back was unprecedented. Not digging the trailer for the cartoon, but the gameplay looks okay. My biggest problem with Sonic Lost World was how effin slow it was, I'm hoping this isn't slow. Lobster boys out there that want slower sonic games can just go lay mario or something. @PrincessEevee9 Crash Bandicoot was always awful compared to the competition (Nights into Dreams and Mario 64). Everything is just Sonic Sonic Sonic. (The interesting stuff died with the Dreamcast and the last bits of it got released on Xbox and Gamecube). Yikes, that character design is one major turn-off. I have to say, I really like the character designs. It really put's them into a defined role, and it looks great. Sonic looks braver, more adventurous. Tails looks great, and I think no one would debate that. Amy looks more athletically capable, as the developers want. Knuckles looks stronger, and is alot more fitting than he ever was in the past 20 years. The athletic tape does seem like alot now, but I think it looks alot better when you see it blending with the actual background. @Keiizeo cry engine 3 will run on Wii U but Cryengine 3 needs to be ported to Wii U first. That was the only roadblock. The money/payoff wasn't there to do it. But now it has to be ported to Wii U for this game to work.....hopefully this encourages other Cryengine 3 games to be ported over. Sonic ADVENTURE 2 BATTLE was by far one of my favorite games and the best sonic game imo. Hope they add a chao garden and gameplay like it! @Xtremetdifan I agree. I never thought Sega would be this stupid to actually do something like this. People complain about Wii U's power, but I bet they were impressed by that footage when they saw it originally. Wait! Why is Razor's BMW in "Datex"? I smell Copyright infringing! @Kyloctopus At least I'm not the only one that can really appreciate the new designs. They indeed look very fitting for what their respective gameplay will probably be balanced towards. The Game look's Awsome for Wii U. If it look's good on 3Ds its a Day One For Me! @JimJam707 Well, the founder of Big Red Button, I think his name is Bob Rafei, did work on the Crash Bandicoot series. There are also a number of people on the dev team that worked on Jak & Daxter and Ratchet and Clank. A good isgn if you ask me. All I can ever think about when I watch the video of Sonic Boom is that I really have a desire to go back and play Jak and Daxter or Ratchet and Clank... And along with what JacketsNest101 said above me, this has potential to be greatness. it proves that the engine can run perfect on wii u, if not better (slightly) and also on 3ds which i wasnt sure if it can handle it. I NEED "real time immersive". Controlling a deep-sea submarine? Dare to make me happy! @AugustusOxy sonic only has sections that are fast. The platformer isnt slwsys about speed. U never played a real sonic game I assume from ur comment. Oh, now I get it... Sonic Boom; as in the sound heard when you break the sound barrier! Let's hope this is another SM3DW! How do all of you say "Chao?" What some people don't get is that the group is supposed to seem older. It's not impossible that Knuckles gained those pecs naturally from working out for years. Also, it's a "new branch" of Sonic, so it will have nothing to do with past games. Well darn. I am so hyped! Am I the only one who noticed the TIE Fighter in the CryEngine 3 showcase? Possible Star Wars game using it. On topic: Sonic Boom looks gorgeous. The grassy environments look like something out of Crash Bandicoot, while the more industrial environments look like something from Ratchet & Clank. ...and was first announce Early 2012 (kinda). In June 2012, it was announced a new game was being developed by BigRedButton. @Hordak You pronounce it like "Ciao"/"Chow". The "i" is silent, and you pronounce it as if your sshhh-ing someone. Cssshhhhhhow. @AugustusOxy Then you must be slow at it, or either you are abysmal at Sonic Lost World. You can always Infinite Spin Dash, and that works as if you're boosting. @andjahiam If you're gonna talk back at someone, please learn how to use proper grammar. Also, please don't "assume" things before knowing it at all. @Banker-Style I agree. PS2 platformers are my childhood. Definetely reminds me of Rayman 3, Crash Bandicoot: Wrath of Cortex, Jak & Daxter, Pac-Man World 3 (nothing will beat world 2) and Ratchet & Clank. Wow that's crazy, good work guys!! Jesus... The designs scare me!